Quotes on development (i.e., quotations about development) involve opinions and findings about how human beings grow, change, and mature. Opinions meaning: theories and suppositions and claims about the way we (ideally) grow toward ever-increasing maturity, self-actualization, and success. Findings meaning: there is a branch of psychological science called developmental psychology, and this discipline (and related ones) shed light on how exactly we move forward in life, in relationships, and in our own minds. After some brief words, I will present a number of quotes on development that highlight the phenomenon. Everything in the universe develops, and the most obvious examples are right in front of us. 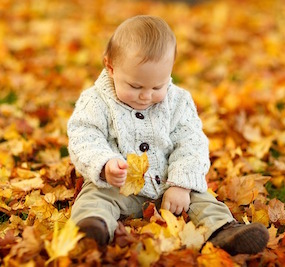 From the grass growing to babies maturing, we can see how time pulls us inexorably forward. Decay, decline, and entropy describe a process of forward movement tied to the passage of time and cell processes that are inevitable. Hence the idea of existentialism! However, it is worth noting that some factors enhance or retard growth. With plants, think of the sun, carbon dioxide, soil, nutrients, decaying matter, and gravity are all part and parcel of the growth process; if any are significantly absent, growth will not proceed well (or at all). Humans are of course the most complex organisms in the known universe, but nevertheless, there are certain principles that apply almost without fail. The most tried and true of them must be: “We all must eventually die.” Until that fateful day, we can all move ever-closer toward wisdom, peace, fulfillment, integration, and spiritual union (if you like). However, before that dark day, babies learn to walk, teenagers’ brains develop a more robust and advanced neocortex, and marriage and procreation are possible (likely?). There are many ways a person develops, and different quotes on development shed light on different aspects. Abraham Maslow brought us a theory about human beings’ hierarchy of needs, beginning with physiological needs (e.g., food) and culminating ideally with self-actualization. He wrote: “What a man can be, he must be. This need we may call self-actualization…It refers to the desire for self-fulfillment, namely, to the tendency for him to become actualized in what he is potentially. This tendency might be phrased as the desire to become more and more what one is, to become everything that one is capable of becoming” (Motivation and Personality, p. 93). Other psychologists and philosophers and allied professionals have brought us moral development, spiritual development, sexual development, and so on. There are many quotations about development, and I will share just a few with you below. As always, I invite you to search for the words develop, development, maturity, or maturation in The Wisdom Archive and see what you find! I might also suggest you read about Lawrence Kohlberg, who, in the 1960s, set off an array of theories and studies about his concept of moral development. For example, he wrote: “People move on to the next ‘higher’ stage of moral development only when they find their current type of moral reasoning inadequate. This generally occurs when they encounter a crisis that their current mode of thinking is unable to satisfactorily resolve.” He is saying that we aren’t really motivated to mature until we reach some kind of roadblock or setback or frustration elicits putting energy into the difficult process of growing — or, once we have achieved enough experience, we can begin to slowly see things anew. This is the process of the brain maturing and the mind becoming wiser. Perhaps a few who are more notable in this history of developmental psychology than Kohlberg are Sigmund Freud, Jean Piaget, and Alfred Binet. I also remember liking Vygotsky and Bronfenbrenner when I was studying psychology back at the University of California, Irvine. Kohlberg got some push-back from Gilligan and other feminine-oriented psychologists and it’s an interesting perspective to see how women might develop differently from men. I hope you enjoyed these quotes on development. Wisdom is out there; keep trying to move ever-closer.